Hello everyone, it’s already the time for our 3rd edition of our famous Vendredivision Also called Fridivision in english)! The concept is pretty simple, two Division Records bands playing in our headquarters, good beers, nice food, everything on a « pay what you want » principle! 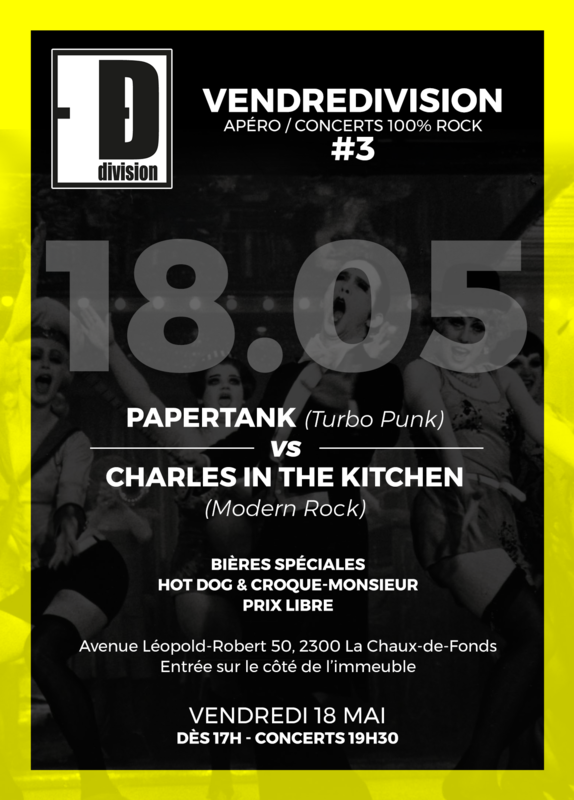 For this new edition, we’ll witness a real BATTLE between the rockers from CHARLES IN THE KITCHEN & the punkers from PAPERTANK. Both bands on stage, each one playing one song in front of the other, the crowd as the arbitrator! !